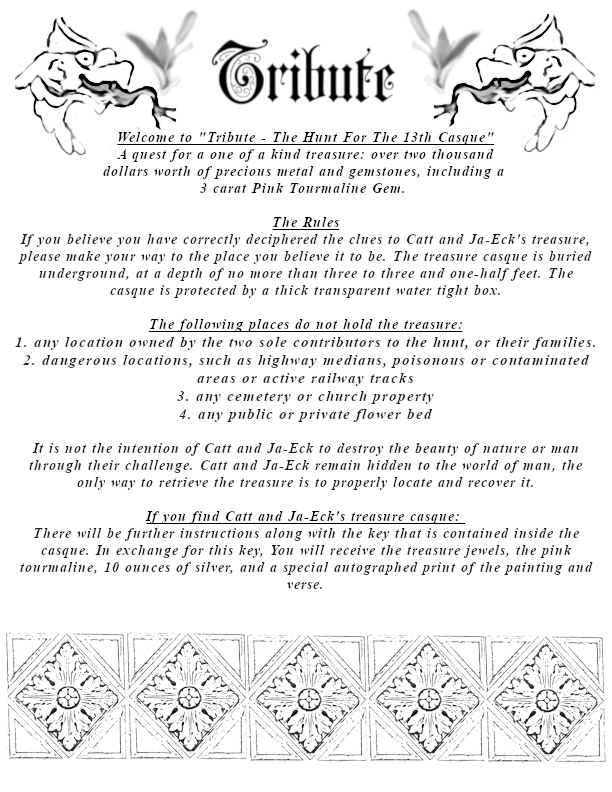 Welcome to The Secret: A Tribute Hunt! Back in the late seventies and early eighties, my father and Byron Preiss created The Secret. 12 paintings and 12 verses were to be paired in order to reveal clues about the location of buried treasure. Buried in the ground were “casques”, or containers in which contained a key. After sending the key to the author, the author would ship a gemstone to the treasure finder. Almost 40 years later, my partner John Michaels and I decided to create a tribute to the original treasures. Burying our own treasure and original casque, I was tasked with creating a painting for the verse created by Mr. Michaels. 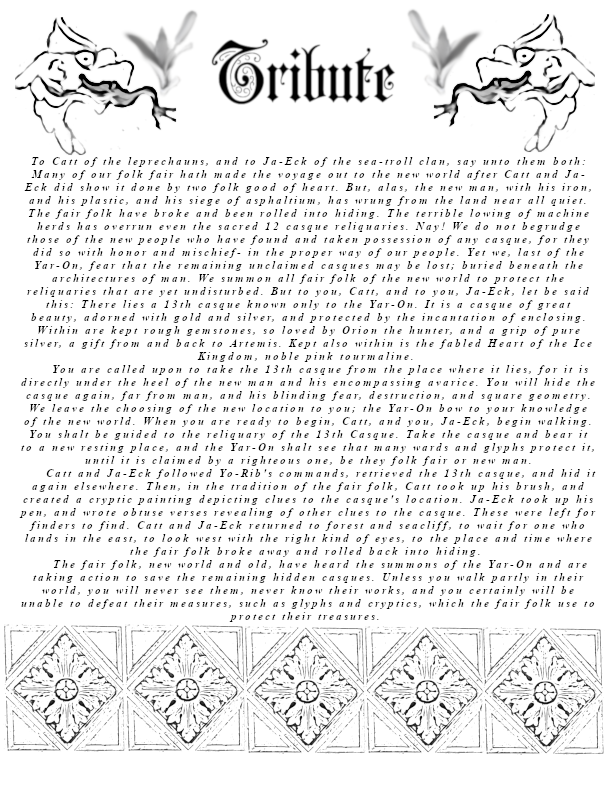 Below you will find instructions (please click on the image to advance), the image, lore and the verse with clues to help you unearth a treasure worth over $2,000. Also, feel free to join the Facebook group!